Ted is an online slot by Blueprint Gaming that we cannot get enough of. With 5-reels and 20-paylines, this online slot has been themed around the hilarious movie of the same name and is jam-packed with fabulous game features. Having a low to medium variance, Ted is one of those online slots where there always seems to be something going on. Furthermore, with no less than eleven bonus features, there will always be something that you are yet to unlock. Carrying an RTP of 95.80%, Ted is an online slot that always does well at the online casinos and with so many game features it is easy to see why. Read on to find out more about this excellent slot by Blueprint Gaming. Ted looks amazing it has to be said, the effort that has been put into the graphics and animations is plain to see. This will certainly appeal to players that like their slots to look good. Low-paying symbols on the reels are made up of the playing card symbols ranging from the Jack to the Ace. As for the higher paying symbols, these will be the main characters from the movie, a swan, some beer, a bong and the games logo. There is also a great betting range on Ted too, as you can place bets of between 0.25 and 500.00 per spin. That will surely be enough to keep the high rollers happy as well as players that have far smaller bankrolls. 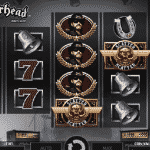 Without a doubt, the main reason players love this slot is because of the excellent features that it has. 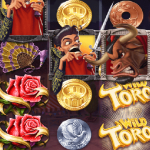 As well as having wild symbols and a gamble feature, there are eleven different bonus rounds that we will go into more detail about below. What players love the most about Ted is the many different bonus features are available. The Thunder Buddies feature alone gives players the possibility of unlocking one of five different bonus rounds. Bar Crawl Bonus – During this bonus game, you are tasked with selecting some bottles which will then move around the board collecting game features such as free spins random prizes and possibly even access to the Big Money Bonus. This carries on until you get yourself arrested. Supermarket Free Spins – if you unlock this bonus round you will be given five free spins on one of the reels. The background of those reels is that of supermarket shelves with Ted Wild symbols on them. All of those wilds will then be added to the corresponding locations on the reels to bring in wins. Ted Free Spins – Land on this bonus round and you will be given a set amount of free spins. Above the reels is a grid with different spin bonuses and after each free spin, you will be awarded one of them. Big Money – This is the feature that most players aim to hit and once they do they will be given the chance to win some big multipliers of the total bet. Wheel of Fortune – You are first tasked with selecting a Ted which will reveal a bonus that effects the Wheel of Fortune. You can either find an arrow which gets added to the wheel, a multiplier boost which increases the multipliers you can win or spin which spins the wheel. The arrow is the best as when you land on this during the spin you are taken to a higher level wheel with improved rewards. Another fantastic game feature on Ted is that of the random bonuses that can occur during the base game whenever Ted wakes up. There are six different mini-games available and these are selected randomly. Laser Gun Infectious Wilds – When this mini-game occurs, Ted fires a laser at some of the symbols on the reels which turns them wild. Psychedelic Super Spins – By blowing some smoke onto the reels, Ted replaces some symbols with his own symbol before they then turn back into identical symbols which can bring in wins. Beer Shuffle – Ted shakes and sprays his beer on the reels onto a winning combination which then creates an additional winning combination. Psychedelic Colossal Spin – Much like the super spins, Ted blows smoke on the reels this time turning three symbols into one big symbol. This will create the potential for some big wins. TV Streak – Once you have hit a win, Ted might go crazy with the buttons on his remote which will make that win sticky before respinning the reels. This continues until a respin reveals no new win. Psychedelic Bonus Boost – Another mini-bonus that involves Ted blowing smoke on the reels which will see some additional bonus symbols added to the reels. This gives you a better chance for a win on the next spin. What is there not to like about this fantastic slot? It has the graphics, the effortless animations, the wide betting range, regular payouts and of course, a bunch of fantastic features that will always keep you interested. Even if you are not a fan of the movie (it’s hilarious by the way), you are going to love this online slot. Ted simply has everything you could ask for from an online slot. In fact, the only thing we can even find that is a bit of a negative is that it uses playing card symbols. That is just a pet hate more than anything else and just a tiny issue. Apart from that, this is about as good an online slot you will find. Go check it out for yourself and we are sure you will instantly become a fan in the same way that we did.